As school starts in Bethel, some parents still are not entirely sure how their children are getting there. After parting ways with a long-time contractor, the Lower Kuskokwim School District doesn’t have nearly enough school buses for the city’s students. Administrators are scrambling to find transportation for them, and they’re proposing that many children take taxis to school instead. Bethel’s public schools don’t have much of a bus system right now, but they do have a deal with Kusko Cab. The taxi company’s owner Naim Shabani said that this could be difficult to pull off. Kusko Cab is the larger of Bethel’s two cab operators, and Shabani already has talked through some of the logistics with school officials. LKSD has offered to give children cab vouchers, and Kusko Cab will pick the students up at designated stops throughout town. LKSD finalized their deal with Shabani about 36 hours before the first day of school. This last minute scramble is the result of a months-long contract negotiation process between the school district and Golden Eagle Unlimited, a Bethel-based company that’s provided student transportation in town for more than 20 years. Golden Eagle and LKSD left the table without a deal, and they have somewhat different stories about what happened. 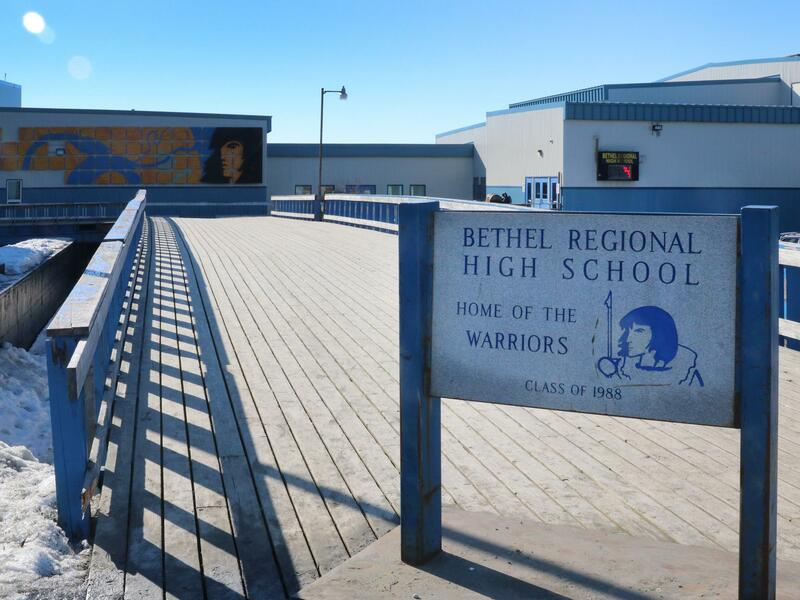 In early 2018, the district issued a request for proposals, inviting companies to bid on a one-year contract to transport Bethel’s students to and from their schools. Former state legislator Bob Herron, who co-owns Golden Eagle, says that the contract was only a year long because the district actually planned to get into the busing business themselves as a “belt-tightening” measure. LKSD’s Superintendent Dan Walker strongly disputes this. After plenty of back and forth, Golden Eagle declined to bid on that one-year contract. Superintendent Walker says that Golden Eagle didn’t walk away from the deal until May. Now, LKSD is buying its own fleet of school buses. According to Walker, the new fleet will cost about $600,000, or about $100,000 per 65-passenger bus. But those buses won’t arrive in town for another six weeks. Walker defended his district’s stop-gap solution. Parents have expressed concerns about LKSD’s use of taxis. Some are worried about younger students riding to school alone in cabs. In general, taxi drivers do not undergo the same background checks that school bus drivers do. Other community members, including Bethel Police Chief Burke Waldron, have expressed concerns about the traffic that all these Kusko Cabs might cause. In addition to LKSD’s deal with Kusko Cab, the district also is offering to reimburse parents for driving their children to school; the rate varies by distance. LKSD also purchased three special education “short buses” from Golden Eagle, though those won’t be enough for the city’s students. Golden Eagle said in a statement that it offered to provide LKSD with bus service while they wait for their new bus fleet to arrive, but LKSD declined to hire them. While the first few days of school could be rocky, Walker assured parents that LKSD’s new bus system will be better in the long term. In the meantime, Kusko Cab’s Naim Shabani wrote a detailed Facebook post that lists when and where his taxi drivers will pick up Bethel’s students.